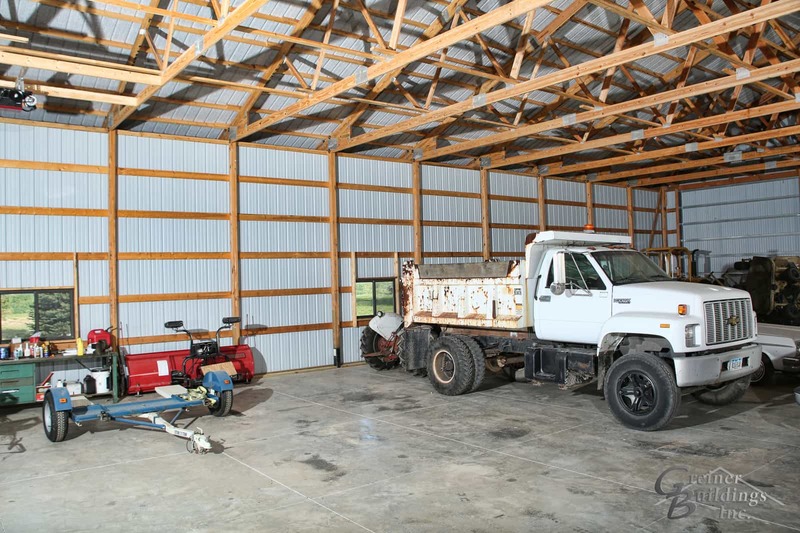 2016 Featured Agricultural/Workshop Building of the Year - Greiner Buildings Inc.
Building Use, Importance, and Newsworthiness: This building will be used to store farm equipment and personal vehicles. Birkinbine’s building is a great example on how to design a post frame building to be extremely functional and good looking. 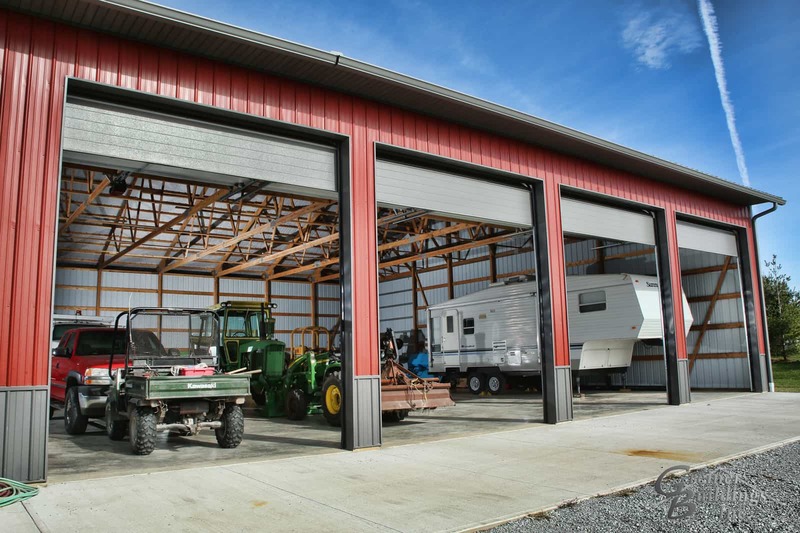 The location of the 4 large garage doors and added convenience of 2 end wall doors makes it easy for the customer to park vehicles and equipment without the need to move several implements to access just one. 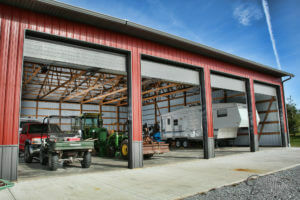 The awning and main walk through door is in an area where the owner can easily finish off the space for an office or “man cave” without disturbing the traffic pattern and integrity of his storage space. 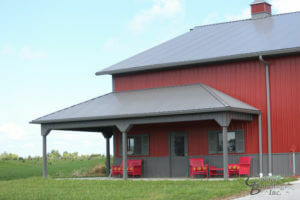 Unique Features: This owner chose a striking red steel exterior with a smoke colored roof as well as color matching doors and trim. 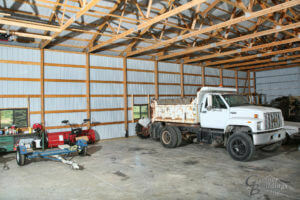 This design features a large open span with the ability to construct interior walls if needed. The western 32”wall has an insulated frost wall in preparation for an office the owner would like to install at a later date. Post-frame Advantage: Post frame was chosen for the ease of maintenance and speed of construction, along with the ability to finish it differently in the future as time and needs change. Unique products: CHI 3216 garage doors with custom Americoats color to match side steel color.